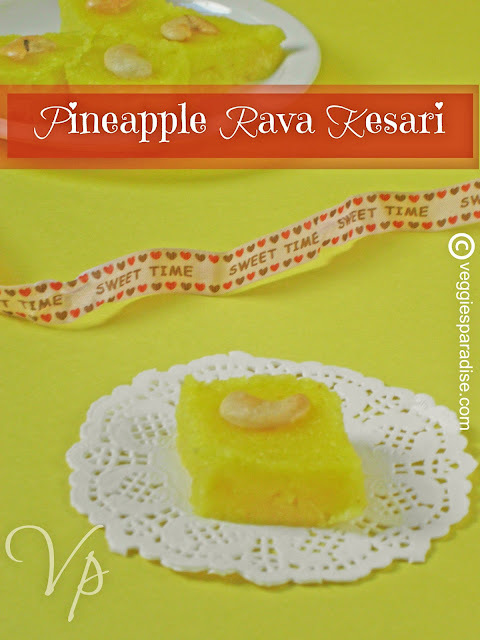 Pineapple rava kesari - A simple and truly delicious sweet prepared with semolina and sugar, flavored with pineapples. Heat 1 tbsp. 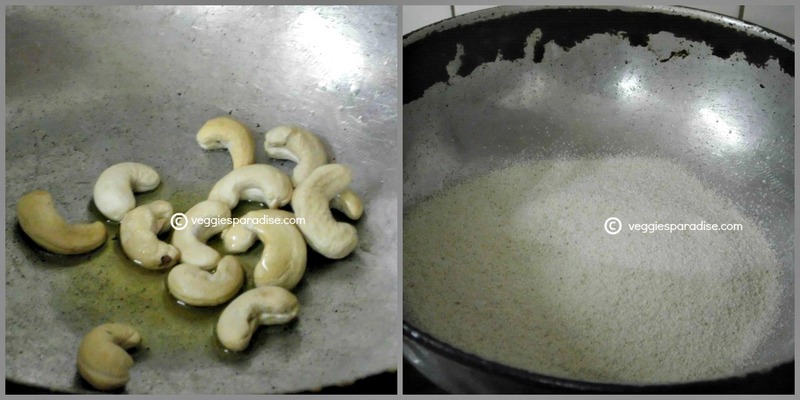 of ghee in a pan, roast the cashewnuts until they turn golden. Remove and keep it aside. In the same pan, roast the rava to light brown. 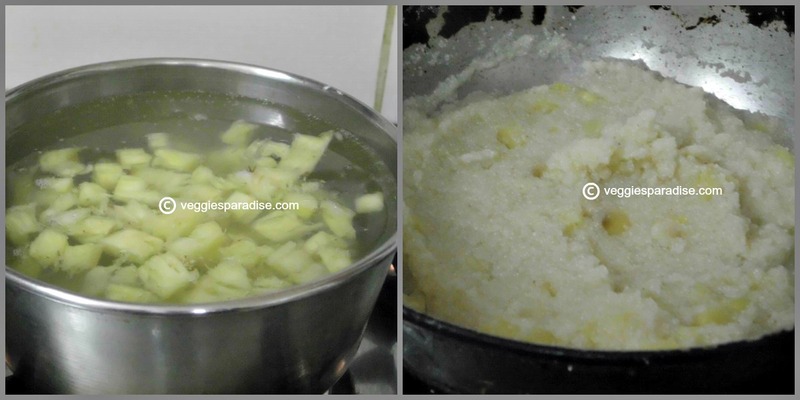 Meanwhile boil 2 cups of water with the pineapple and add to the roasted rava. Stir rapidly to avoid lumps. When the rava gets cooked add the sugar and mix well. 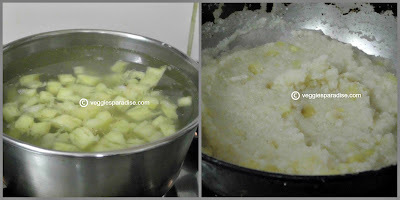 Add the color powder and cardamom powder. 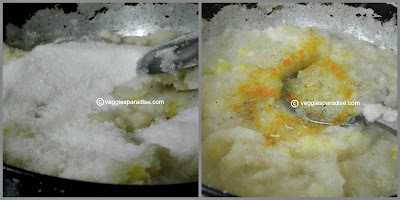 In a low flame,add ghee litlle by little and keep stirring until the kesari starts leaving the sides of the pan. Finally transfer it to a plate greased with ghee and allow it to cool. Make desired shapes,garnish with roasted cashews and enjoy. Serve this delicious sweet warm or cold. 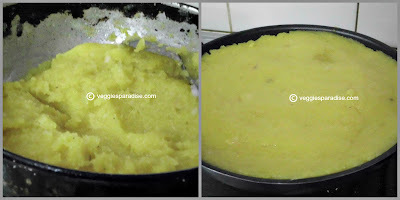 looks delicious and beautiful clicks..
Tasty and yummy kesari, love the pineapple flavour. Please check my blog for tasty cup cake with cream cheese frosting. Kesari looks inviting and flavorful dear. ITS JUST TEMPTING ME...CUTE CLIKS.. I will try this but won't add colour. 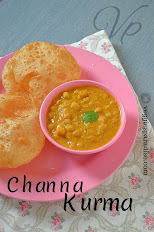 one of my fav version dear :) looks too gud..
wow...this looks extremely delicious & inviting!! Love the pineapple flavor in this keasari..
My all time favourite kesari, wish i get that slice rite now. 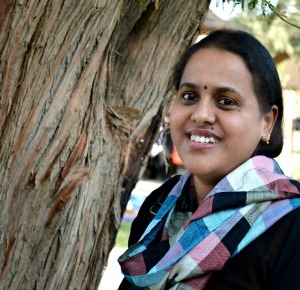 super flavourful kesari n lovely clicks!! my favorite rava kesari.nice clicks too. love this a lot...looks so delicious n tempting...neatly presented! Interesting. The color is lovely too. I'm sure its delicious. 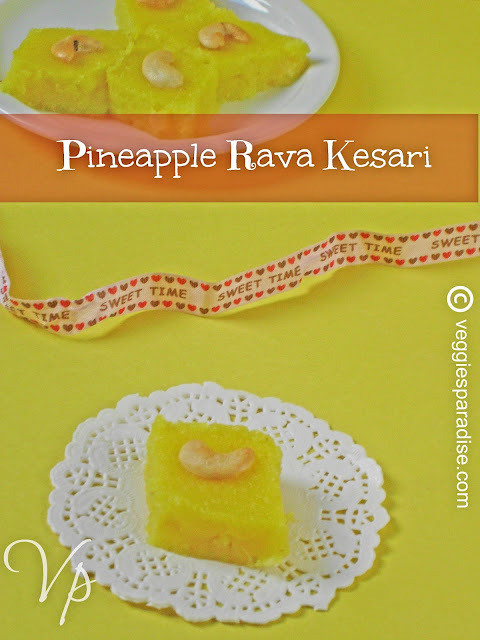 I love kesari& I love pineapple....net result = I love your kesari!